Playing around on GoodReads earlier today and I noticed a feature that allows me to see a list of books I've read and order them by the number of ratings the books have recieved. This is something that I've been thinking a lot about recently - reading books that aren't necessarily the huge blockbusters or the popular books that EVERYONE is raving about. Sometimes, I'd much rather read reviews of books that I've never heard of than the 20th review of the same book. I'd like to be a blogger who reads the less-than-blockbuster books and also one who supports them. I won't say that I'll stop reading the popular books, just that to balance it out, I'd like to have a look at other books too. Especially when I see so many great books (see below) having so few ratings. I think a lot of book bloggers really focus on new or upcoming books (including me!! ), but let's not forget about all the other wonderful books out there! 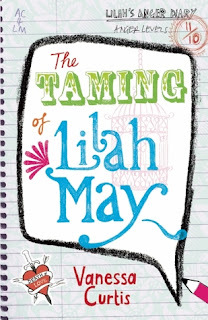 Welcome to another post where I talk a bit about the wonderful UKYA books that aren't being read and rated which should be. Most of the books that appear on this feature have all been by British authors, and I find that ridiculously sad. And it just strengthens my resolve to do more to read, feature and support books by British authors! I really love these two books and, in fact, all of the books that I've read so far by Vanessa Curtis. I like that Vanessa Curtis takes topics such as anger management or OCD (which I haven't seen much written about in YA) and writes a compelling story with interesting characters and a lot of heart. I read both Taming of Lilah May and Lilah May's Manic Days within a short period of time and I really felt for her character. She's going through a really rough patch with her family and she really has no idea how to cope with the strong emotions she's feeling. So she lashes out in anger at those around her. And then things start crumbling between her and her only friend and I just wanted to give Lilah a really big hug. There are other strands of the story that go into a darker place, with teen pregnancy and drug addiction, but the main story is really about one girl trying to figure stuff out, with herself, her family and with her friendship with her best friend. Last year, I read Gina Blaxill's previous novel, Pretty Twisted, and I liked how much I could relate to the characters meeting up with people they've met on the Internet. I've done that too. Plus, I kind of like the thriller aspect of it. So when I saw this new book, I was intrigued. Especially as the story centres around the death of a girl with mental illness issues. The fact that the police are quick to rule it a suicide and not look into her death further made me incredibly sad. 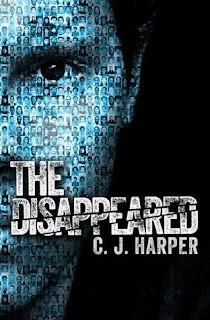 And while that tempted me to the story, it was the relationship between Sophie and her former best friend, Reece, which had me riveted to the story. 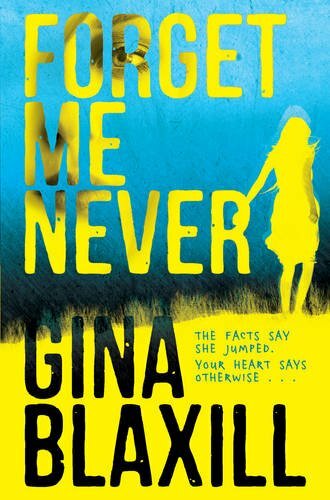 I really wanted to know their history and I loved the tension within Forget Me Never, both between Sophie and Reece and also the tension of investigating a murder charge involving some shady individuals. I know this book has only just been published in January of this year, but I still feel like more people should be reading, rating and reviewing this book! It's a dystopian/thriller and I think the thing that I loved the most about it is how much the main character, Jackson, changes throughout. At the start, he's such an arrogant, horrible boy with his pompous attitude and he keeps repeating the most inane things as though they are important. And then Jackson is forced into a world very different from his own, in which violence and arbitrary things like the colour of your hair is rated highly over intelligence and reasoning. And he really changes. I loved his relationships with the other people at the Academy and the ways in which these connections change the way that Jackson thinks and behaves. What's more, is the way in which language and literacy is viewed as a powerful and important things. It's a wonderful journey to go on alongside Jackson, I urge you to give this book a look. I seriously cannot write enough good things about this wonderful book! I loved it so much. A World Between Us hasn't been published for that long, but still. I want to see more people raving about this amazing book! 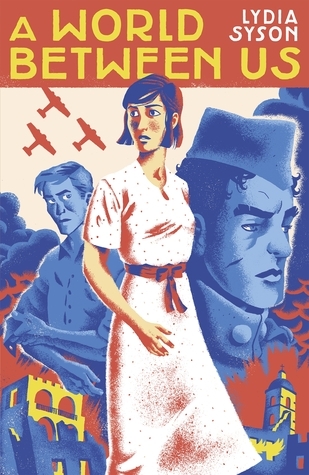 I love the way in which the reader is introduced to historical aspects of the time of the Spanish Civil War, the volunteers that came in support against fascism, and the outcome of this battle without being overly burdened by the history of it all. Everything flowed very easily and I loved the three different perspectives and these three main characters. 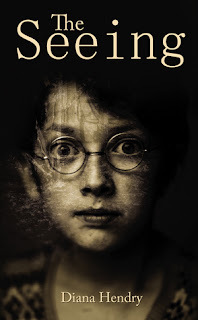 I especially loved the relationship between the three and watching how they change and develop throughout the course of the novel based on each of their experiences with the war. There's history and romance and heartache. Please read it. And finally, we have The Seeing. Which is a strange, disturbing little book, I'll admit. It's still in hardback, I believe, which could explain why I haven't heard very many people talking about this one? But they should be. It has an interesting format, with the story told through one girl's narrative voice, another's diary entries and an artist's letters to his sister. I've never really considered what it would be like for war-time children during the times of peace that follow. The war is what they've been accustomed to. And how do you really explain questions about evil or of Nazis? The Seeing is the story of three children one summer trying to work through these and other things with quite heart-breaking results. Are there any books that you've read lately that you think aren't being widely read? Totally agree! 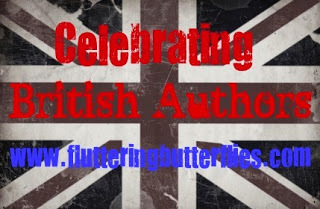 When I first started blogging I wanted to read the books that the rest of the blogosphere seemed to not be reading which at the time was authors like Paul Dowswell, N.M Browne (both of which are British actually). I think American books have kind of taken over our culture book-wise especially with series like The Hunger Games and Divergent - that's why it's nice to see features like your Celebrating British Authors. Thanks for the lovely comment Rebecca! I think it's fairly easy to fall into a hole of reading mostly American authors, which is a shame because there are some amazing books out there by British authors! I'm reading a book that was sent to me in January about the first world war - just typical historical fiction but because it's self-published it's not getting the sort of hype that other books get. Yeah, I get that. I wonder sometimes if I should be reading and reviewing more self-published titles, but I'm still wary of them. I think this a great idea! Thats why I love going to the library, because they often get books which haven't been talked about a lot. And all books need love. Plus lots and lots of hype tends to put me off, because I feel pressured to like it. Wonderful to hear :) Yes, I do love my library lots. I love that they have a lot of back titles that I don't hear of much from other book bloggers - everyone's focus seems on the latest books and it's nice to read something different. 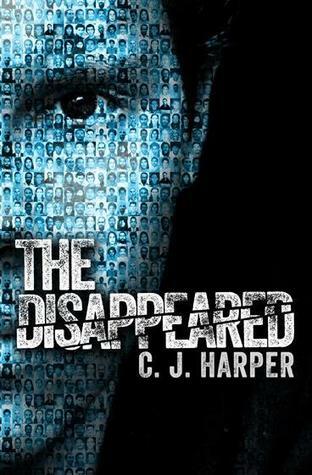 My sister loves Vanessa Curtis' books and I really enjoyed The Disappeared - it surprised me. I'll definitely be trying some of these out now! Thank you so much Lucy! I really hope that by writing posts like these I am encouraging more people to read or at least think differently about what they are reading. Ooh, another amazing feature! I agree, it does get kind of boring when everybody blogs about the same old books, and it’s nice to see reviews of books that are as well-known/recognised. Exactly! I'm so glad that everyone enjoys this feature, it is definitely one of my favourites!